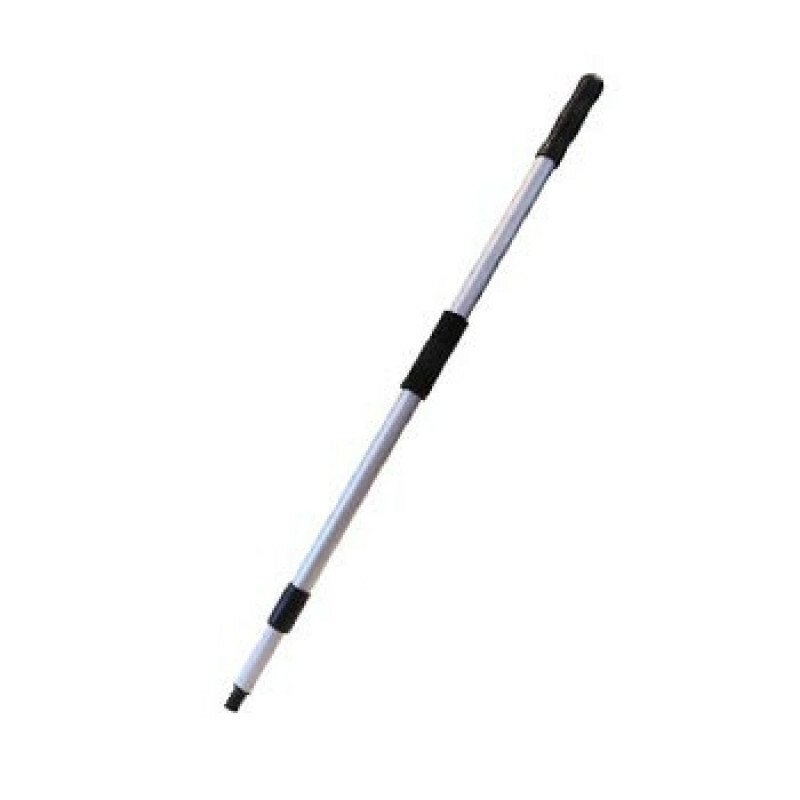 A great addition to our swivel pad holder, 24" wet microfiber mopping frame, or many of our push broom or deck scrub brush, this 33 ¼" handle can extend up to 60" to allow you to adjust the handle to your height or adjust it to reach places normal handles couldn't. The handle conforms with food service standards and is extremely lightweight yet extremely strong. For other handles options, view our full line of sweeping and mopping handles. Customers who were interested in the 60" Aluminum Extension Handle (Case of 12) were also interested in the following items. This is a review for the 60" Aluminum Extension Handle (Case of 12).